Life jackets save lives! If a boater is wearing one, their chances of survival from capsizing or a fall overboard will dramatically increase. The same is true for passengers, which is why it’s critical for a boater to make sure everyone on their boat, including themselves, wears a life jacket. Don’t just store a life jacket for a “what-if” situation, always wear a life jacket while boating. 83 percent of drowning victims in recreational boating accidents were not wearing a life jacket in 2016. Drowning is the reported cause of death in three-fourths of all boating fatalities. (80 percent). 8 out of every 10 boaters who drowned were using vessels less than 21 feet in length. In every state, boaters must carry life jackets for every person on board their vessel. 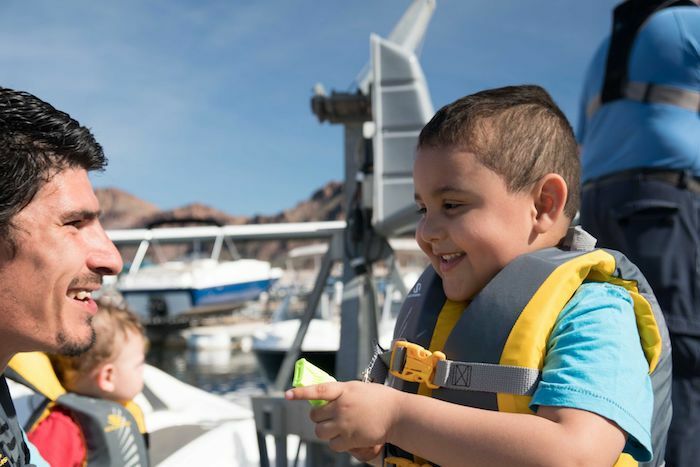 Also, in most states a U.S. Coast Guard-approved life jacket must be worn by everyone on a personal watercraft, everyone being towed behind a vessel and all children under 13 (unless they’re below decks or in an enclosed cabin). Knowing how to swim does NOT protect you from drowning. Even the best swimmers can (and do) get into trouble with sudden immersion in cold water or by being knocked unconscious and drown if they’re not wearing a life jacket. If a boater does not have a life jacket, they can borrow one from a life jacket loaner station.